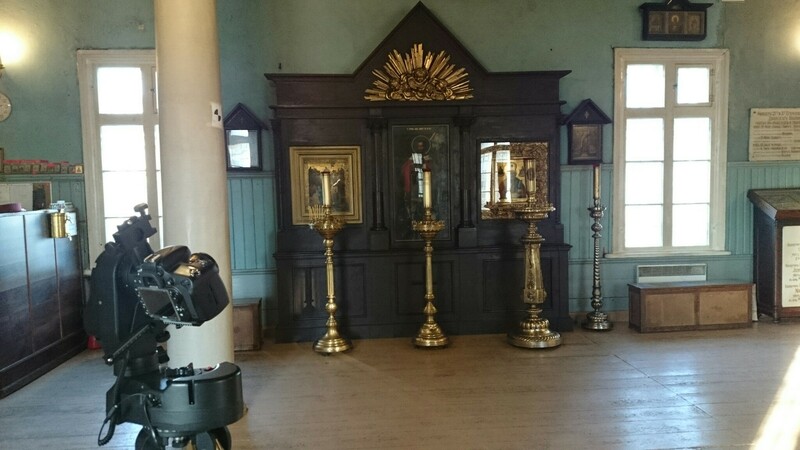 Yesterday we went back to the Kaasan Church to complete a photogrammetric survey that will be used alongside the laser scan model already captured on site. Recently we bought a Sky-Watcher All View multi-purpose computerised mount and this was used on site as a test. In comparison to the Gigapan setup that we have used previously, it has several advantages, but also some functional and hardware differences what makes it trickier to use. When we started to look into motorised mounts we went through several products to see which one was the best for our needs. The Gigapan pro, which is the one that we have a lot of experience with, was our the first choice, but when it was discovered that their factory was closed we started to look for other products. As a result we came across the the Sky-Watcher All View which is a mount for telescopes and cameras. It is more compact than the Gigapan and it can rotate 360 degrees in horizontal and vertical directions. The movement seems also a bit more battery friendly, and allows for the capture in a reverse order if it is needed. The control panel is a separate wired unit which can be replaced with a wireless one if needed. Surprisingly one of the disadvantages of the system is the multi-functionality that it offers. The control panel can be a bit confusing before learning all of the shortcuts and commands. Although this was easy to overcome, we did find that functionality to move in between the camera positions in an automated capture mode was temperamental and we had to regularly use it with the manual settings. Even though we had to use the computerised system with the automatic movement and manual data capture, it proved to be a success. 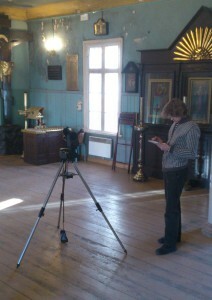 In total we spent seven hours at the church capturing photographs with 33 positions and 700 photos taken.